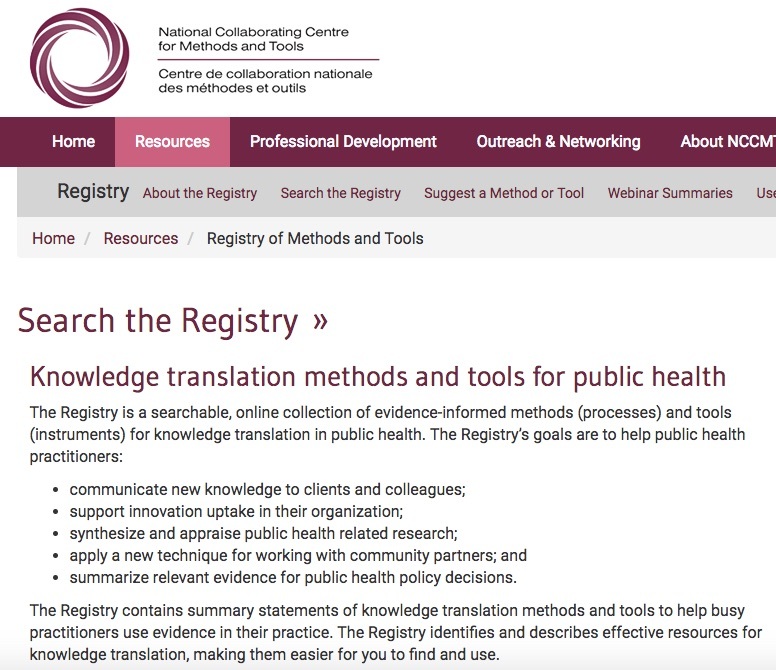 The NCCMT Registry is a searchable, online collection of evidence-informed methods (processes) and tools (instruments) for knowledge translation in public health. Check out what's new to the Registry by clicking the links below. The tool was originally developed with clinical trials and their biases in mind. However, the tool is applicable in the assessment of study quality from any published randomized trial, including those conducted with a public health perspective. The ROBINS-I tool can be applied to any public health research question that examines the intervention effect of a public health intervention. This includes a number of observational study designs such as cohort studies, quasi-randomized trials and other concurrently controlled studies, as well as case-control studies, cross-sectional studies, interrupted time series and controlled before-after studies.